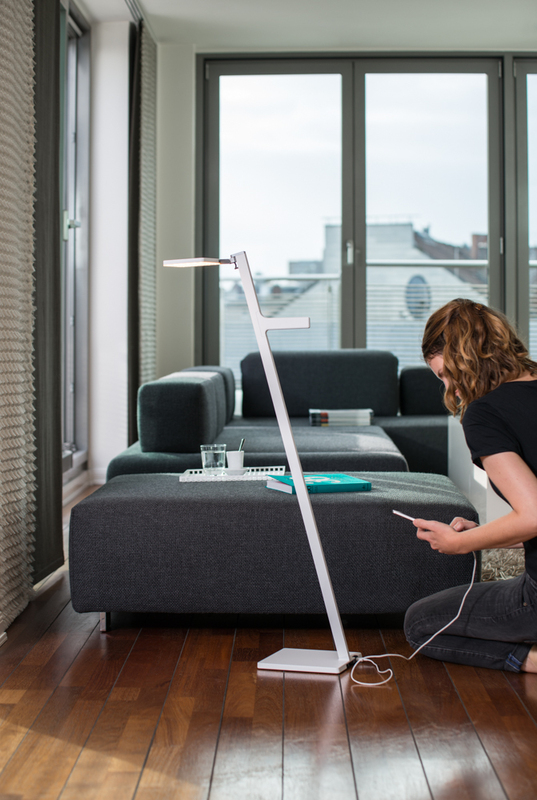 The elegant and cordless floor lamp for inside and outdoors: Roxxane Leggera CL is available in two sizes (102 cm or 52 cm) and hence ideal for reading, the living room, for the bedside or the terrace. 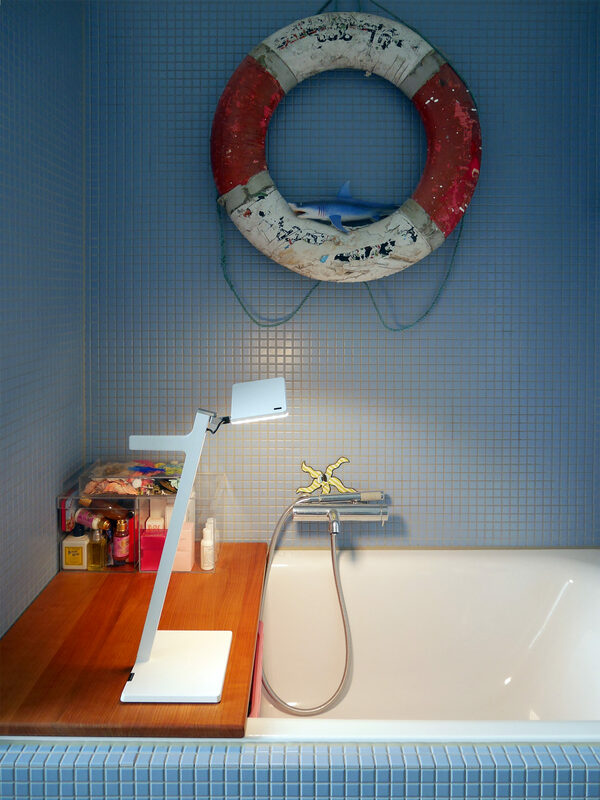 With its 270° rotatable 3D rod end, Roxxane Leggera adjusts to your needs as reading or table luminaire. Portable, cableless and adjustable: The Roxxane Leggera CL adjusts to your personal requirements, and can be placed according to the lighting situation. 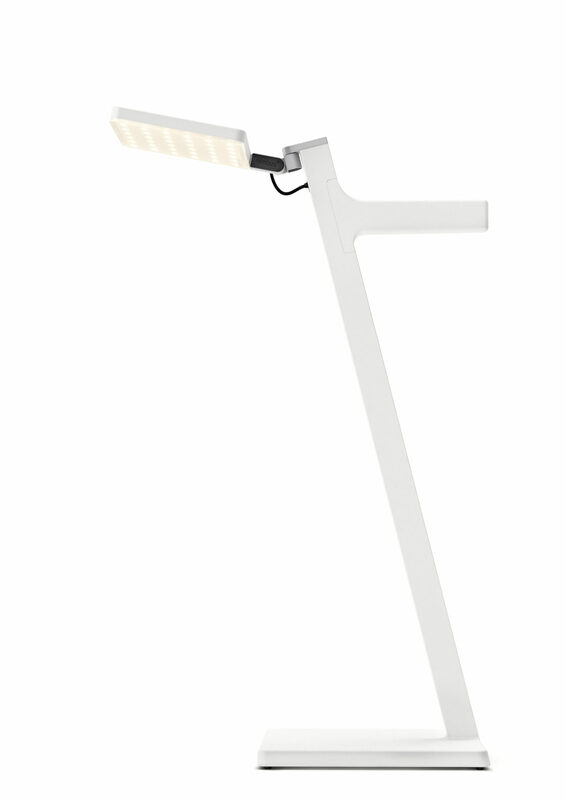 Thanks o its porecise rotatable 3D rord end, the luminaire head can be adjusted according to your needs. 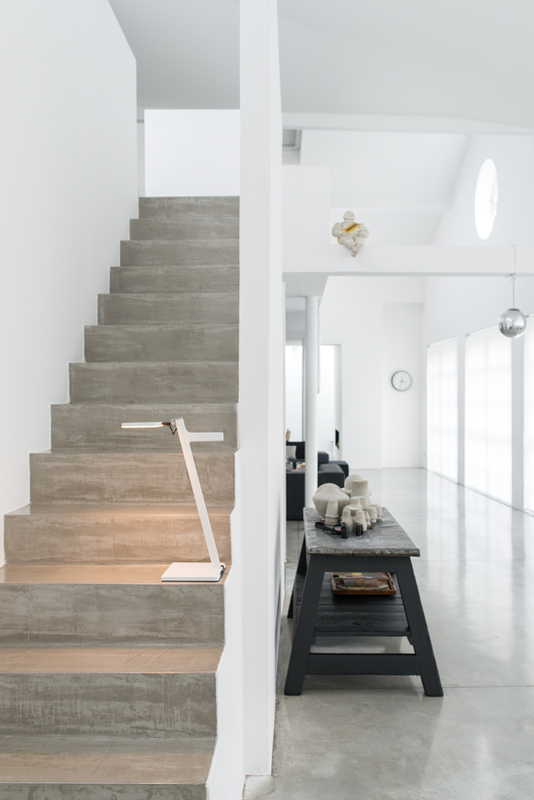 The luminaire’s handling reflects the lightness of the design: With a weight of just 1150 or 1650 grams and with its eye-catching handle the Roxxane Leggera turns into a real “luminaire to go”. 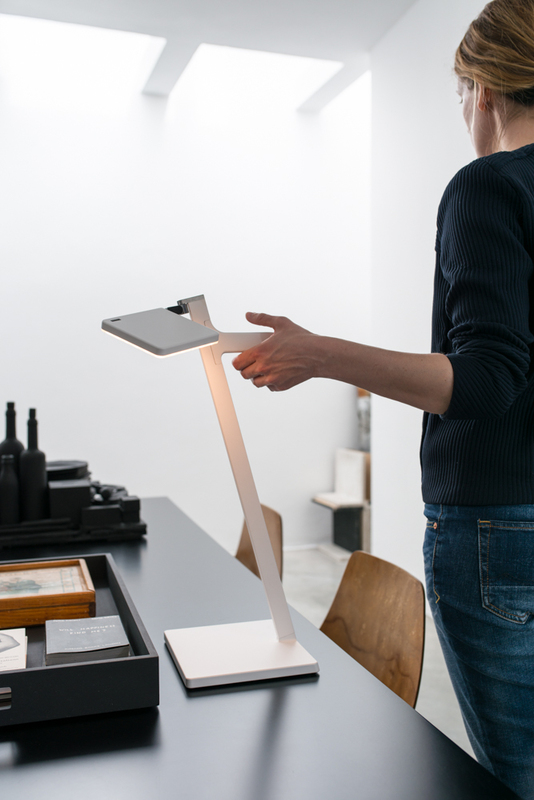 The base is the seat of the luminaire’s intelligence: it houses the high-performance rechargeable battery, the sophisticated charging and control electronics with the battery level display and, last but not least, the docking station for the ingenious charging puck. Made of high-quality, investment cast aluminium, the column rises upward from this high-tech element, inclines 15 degrees towards the user and bears the flat luminaire head. 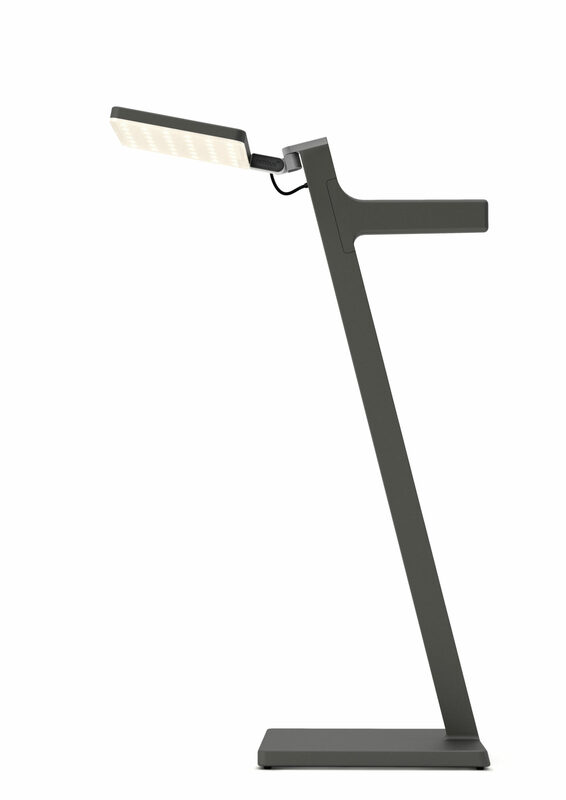 The slight angle and, above all, the lightness of the luminaire, shift the light nearer to the user and his or her visual task. 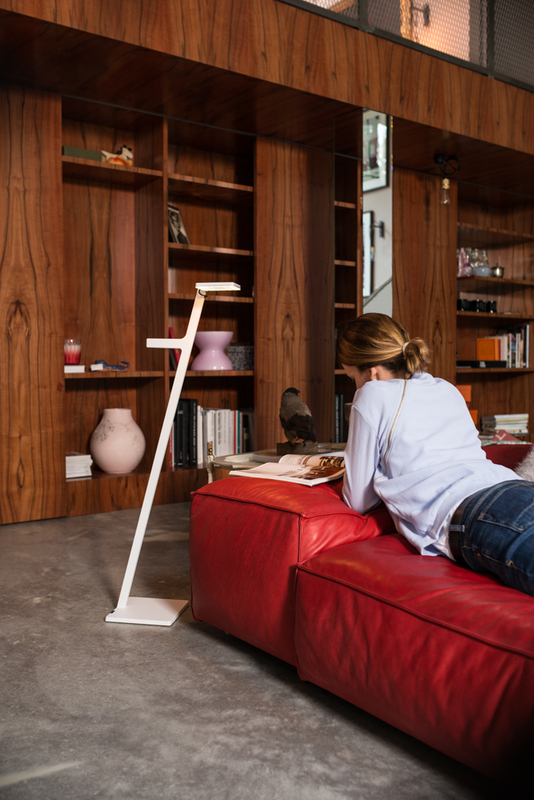 “The Roxxane Leggera CL table luminaire only weighs just over 1000 grams. 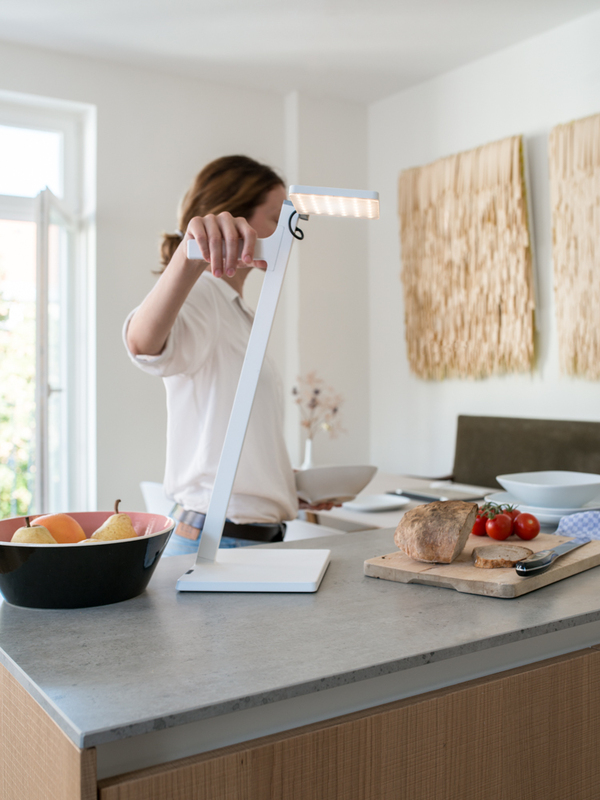 This lightness does away with the need for long projecting luminaire arms and complex joints, thus allowing the design to be reduced to a minimum,” explains Dietrich F. Brennenstuhl. 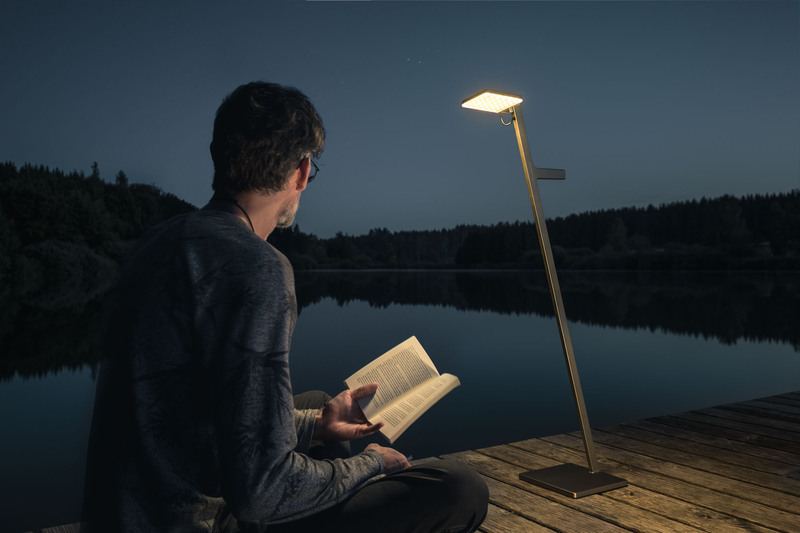 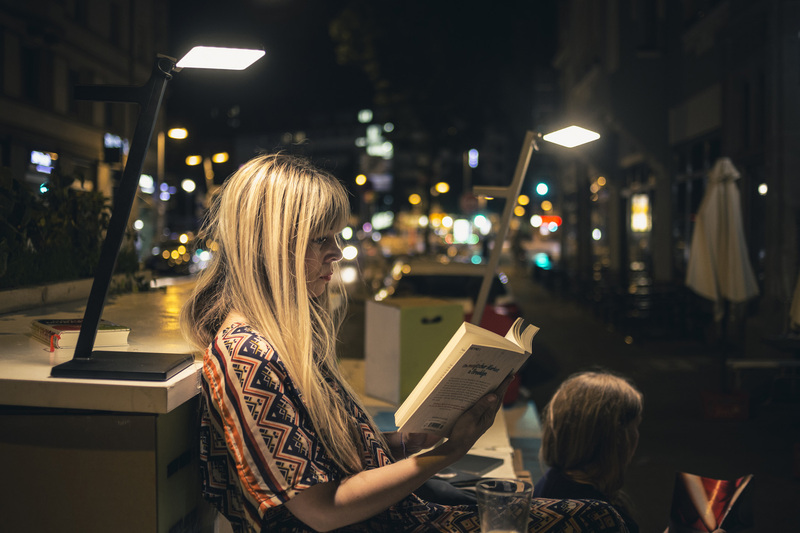 The invitation to take the luminaire with you wherever you go ultimately comes from the eye-catching handle on the luminaire column: “Even to the most casual of observers, it says that this is a portable luminaire”, says Dietrich F. Brennenstuhl. 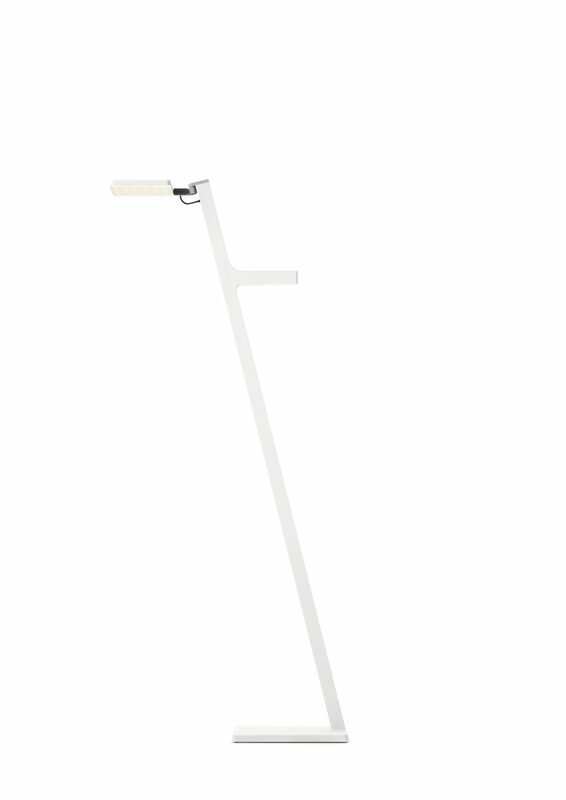 As “portable power source”, the cableless luminaire acts as a “portable power source” that not only provides light exactly where it is needed but also supplies your mobile phone with power – anytime and anywhere! 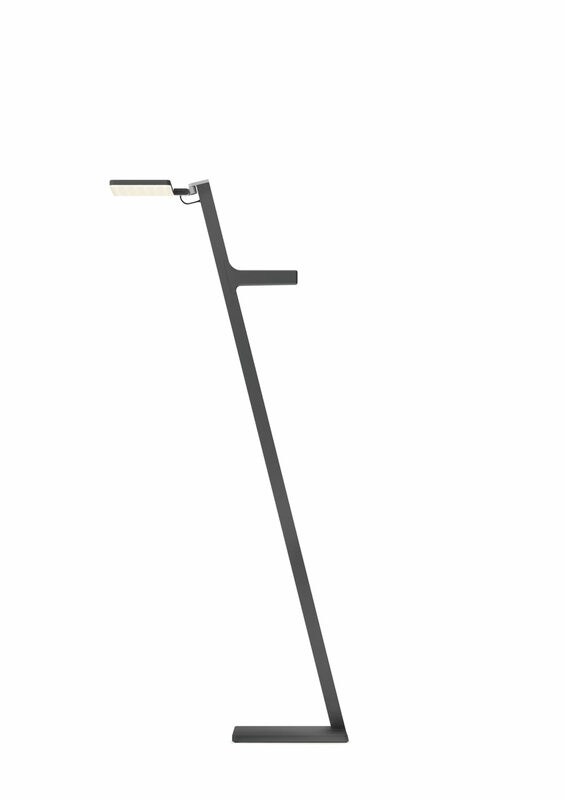 Wherever you happen to be, simply use the smartphone holder positioned conveniently at the user’s eye-level.